The first issue of the new Top Cow series TALES OF HONOR by Matt Hawkins with art by Jung-Geun Yoon, which is based upon the bestselling military science-fiction novels by David Weber, has sold out instantly at the distributor level and will be going into a second printing. This issue’s immediate sell-out marks the successful launch of a multi-platform Honorverse initiative that will also incorporate digital games, apps, television episodes, and a feature film spearheaded by Evergreen Studios. TALES OF HONOR #1 has completely sold out at the distributor level, but may still be available in comic stores. It is currently available digitally on the Image Comics website (imagecomics.com) and the official Image Comics iOS app, as well as on Comixology on the web (comixology.com), iOS, Android, and Google Play. Image Comics is pleased to announce that this second issue will be going back to print to meet customer demand. The second printing of TALES OF HONOR #1 (Diamond Code FEB148000) will release on 4/16. 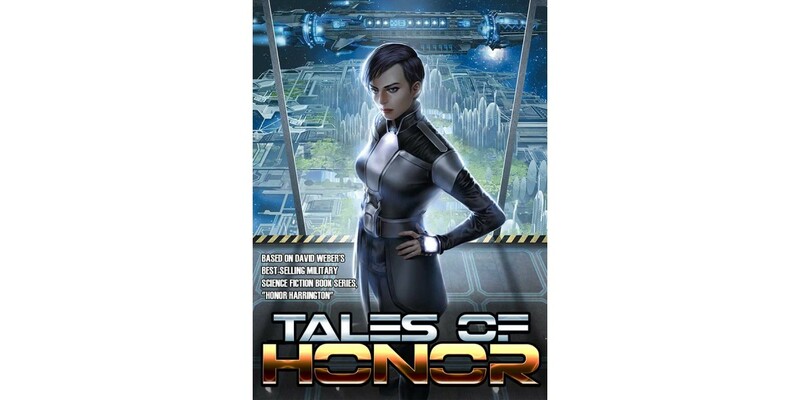 TALES OF HONOR #2 releases 4/9 and will be available for pre-order with Diamond Code FEB140635. A special variant cover featuring art by Patrick Tatapoulous can be pre-ordered with Diamond Code FEB140636.